Village Center 1920In response to a petition presented by 35 freemen, Governor Thomas Chittenden granted a charter to the town of Medway in 1781. The conditions of the charter were that each proprietor of Medway was to plant and cultivate five acres of land and build a house of at least 18 feet square, or have one family settled on his right or share within three years. If these terms were not met, the land would revert to the freemen of the state. In 1804, a portion of land called Parker’s Gore was annexed and the name Medway was changed to Parkerstown. Jonathan Parker came by this tract in a reportedly underhanded manner. The land was put up for sale to the highest bidder by the County of Rutland. On the day advertised for the sale, the High Sheriff, probably a friend of Parker, opened the bidding at 12 midnight enabling Parker to buy the land at a nominal price because no one else was in attendance at that hour. For his crookedness, the sheriff was obliged to resign his office and leave the state to evade prosecution. In 1827, the name of the town was changed again, this time to Mendon. There is no record of why this name was chosen. There is a Mendon in Massachusetts and many of the early settlers came from southern New England. Often, these transplants (the first flatlanders) named their new villages and towns after their former homes. The town was formally organized in 1806 at the first town meeting held at the house of Johnson Richardson. The first recorded birth was that of Trowbridge Maynard Richardson to Johnson and Sibil Richardson on November 17, 1800 (died May 6, 1803). The first marriage recorded was that of Lyman Parker and Lucy Perkins by Johnson Richardson, Justice of the Peace in 1809. The names of other early settlers include Eggleston, Edson, Cook, Bennet, Brewer, Wilkins, Cardell, Provo, Weeks, Collins, McGuire, Sawyer, Farmer, Bradish, Goddard, Perkins, Shaw, Webster, Perkins, Ingerson, Russell, and Cummings. Farming and logging were the primary activities in the early years. Sawmills and small industries such as a tannery, which later became a pillbox factory and then a worsted textile mill, prospered. Mendon was located on the main road from Rutland to Woodstock. In 1807 a town meeting was held to lay out a turnpike and other roads. The result was the Rutland, Woodstock and Stockbridge Turnpike. 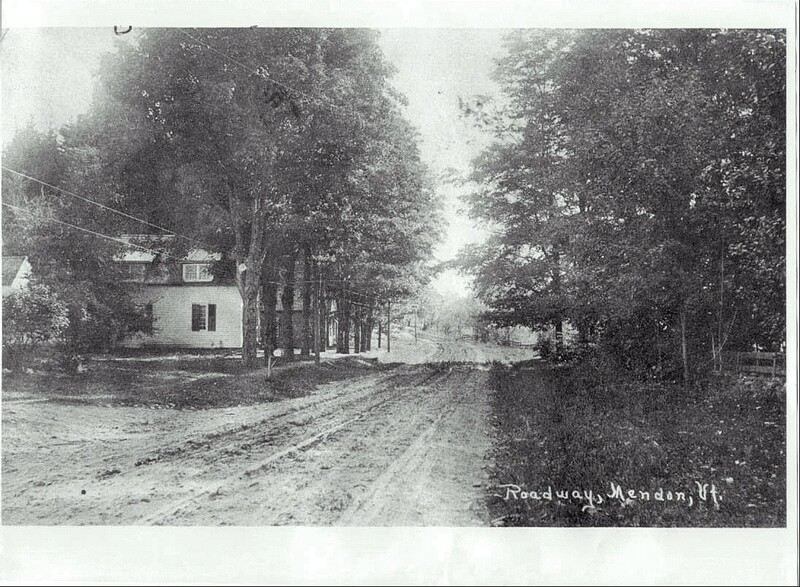 It followed the present line of Woodstock Avenue to Mendon, went behind the present town office. At the present Old Turnpike or Elbow Road, it divided with one branch going left to Lefferts Pond and Chittenden and the other over the Sherburne pass through Bridgewater to Woodstock. 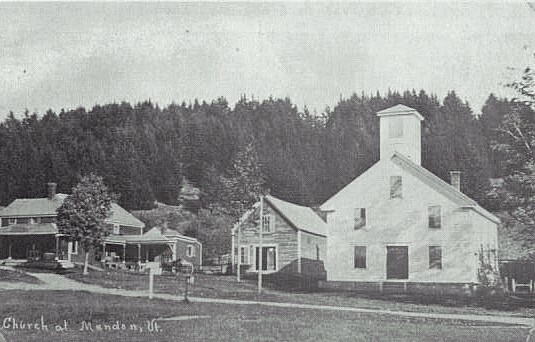 The branch to Chittenden was used as the mail route as late as 1875. There were several taverns or inns in town. 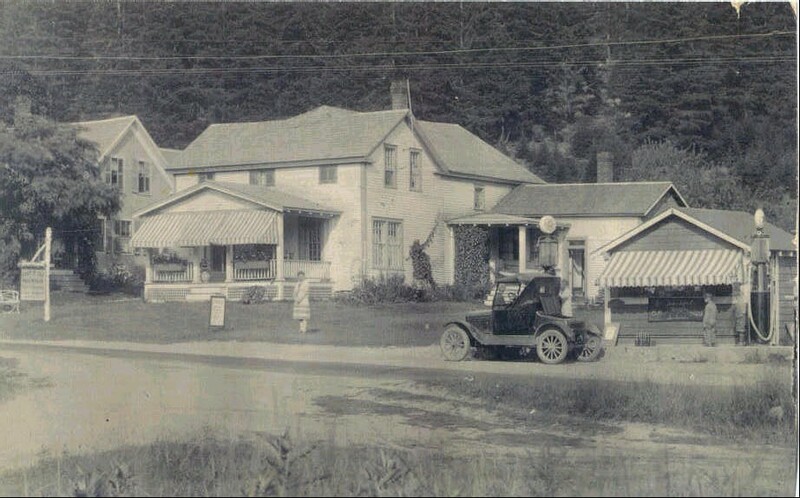 A particularly notable one, which also served as the post office, stood at the corner of Route 4 and Meadowlake Drive where Sugar and Spice is located today. It was later purchased by Civil War General William H. Ripley and became his summer home. It is no longer standing, but behind the restaurant is a stone marking the grave of Ripley’s cavalry horse Old John, which he rode when he accepted the surrender of Richmond, Virginia near the end of the Civil War. House East of the Mendon Community ChurchIn 1868 the town of Mendon was divided into eight school districts, each with its own schoolhouse. The number of schools dwindled to six in 1880, three in 1902, and two in 1927. This probably reflects a steady decrease in population as many families abandoned the farms and moved to the west or to the big cities seeking better opportunities. In addition, the City of Rutland bought up vast acreage in the Wheelerville section of town and tore down the farms, establishing the Rutland City watershed. The population reached a high of 629 in 1880 and a low of 251 in 1930. This trend was reversed in the 1950’s and 60’s as the growing ski industry attracted new residents. The 2000 census puts the population at 1028. The present town office was a schoolhouse built in 1923. In 1949, a special town meeting was held and it was voted to join with Chittenden and East Pittsford to form a joint school. Partially endowed by a trust set up by the Barstow family in memory of their son, the school enjoys an excellent reputation. 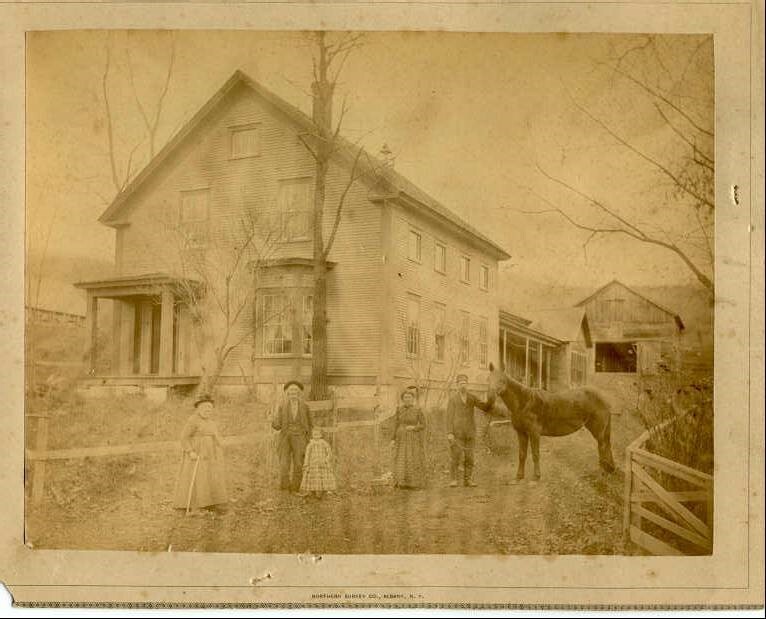 This is just a brief sampling of some of the history of Mendon. For more information, please contact the Mendon Historical Society. Although the Society does not have a museum, its collection is in the vault at the town office. Anyone interested in learning more and participating in its programs is welcome to attend its meetings held every other month. Please call the town office at 802-775-1662 for more details. This is one of the oldest houses in Mendon. Can you identify it?